What do West Virginia, Louisiana, the Gulf of Mexico, the Bahamas, Grand Cayman, Nicaragua, Indonesia, Egypt, photic-zone carbonate sediments, siliciclastic shelf and slope deposystems, constructional and destructional deltaic environments, estuarine sediments, sea-level change, sea-bed seep dynamics, deep-water marine microbial communities, rare earth element and stable isotope geochemistry, and a good number of the attendees at any AAPG or GCAGS meeting all have in common? For more than four decades they have all benefited directly or indirectly from the work and friendly spirit of Harry H. Roberts. Harry Roberts is currently Boyd Professor Emeritus at the Louisiana State University and a past Director of the University's Coastal Studies Institute. Harry's life began in West Virginia on the eve of World War II. He lived his childhood years in Milton, an area that as fate would have it, is underlain by West Virginia's famous Appalachian coal measures and closely linked cyclical coastal and deltaic deposits, all of Carboniferous age. However, in spite of the spectacular geology there in the heart of Appalachia, Harry didn't start out with thoughts of a career in geology, although he loved rock collecting and geology as a boy. After high school he enrolled at Marshal University in Huntington, West Virginia and in 1963 earned a B.S. in physics. After all, Sputnik was hot news in the late 1950s and the space race captured everyone's interest. After graduating from Marshal, Harry and wife Suzie left the Mountain State and moved south, following the great North American drainage system of the Mississippi all the way to Baton Rouge and graduate school at the Louisiana State University. By this time he had realized that his true calling was not physics but in what had been underfoot all along in West Virginia—geology. He was awarded an M.S. degree in geology from LSU in 1966 and a Ph.D. in geology followed quickly in 1969. Harry Roberts and I crossed life paths for the first time in the early 1970s when he was an assistant professor at the LSU Coastal Studies Institute, working with Jim Coleman. I was a graduate student then, working in paleoceanography. It was a heady period filled with excitement and unprecedented scientific expectations over the then-fledgling Deep Sea Drilling Project that had just been funded. Much later, in the mid 1980s, our paths crossed again. Harry was exciting an audience of oil industry professionals with his understanding of the processes and landforms of the Mississippi Delta. By then Harry's work on carbonate and siliciclastic coastal, shelf and slope systems from the Red Sea to the Gulf of Mexico was widely known. He had earned a respected reputation both nationally and internationally as a scientist worthy of frequent citation in significant publications on marine geology. On that particular occasion he and Jim Coleman were presenting the results of their stratigraphic study of foundation boreholes on the Louisiana continental shelf to a group of attentive petroleum industry geoscientists and managers. Harry, as always, fielded their many questions with knowledge, warmth and a ready sense of humor that had the old hands nodding in understanding and the new recruits ready to go back to work and begin the revolution that would lead exploration in the Gulf of Mexico to a tremendous round of successes in deep-water environments, such as the exciting flex-trend play that was very productive in the late 1980s. I had the great good fortune to work with Harry beginning in 1987 in a research consortium of several exploration companies seeking to understand shelf-edge deltas. We were developing analogs for probably the most prolific reservoir trend in the Gulf of Mexico, expanded shelf margin systems. Through that collaboration Harry and I became friends. The friendship and collaboration grew and continue today, and through the association I have come to see Harry as a person who can handle scientific research, graduate students, administrative duties, professional societies, and even fishing with joy and a calm efficiency that are contagious. His success is manifest in the quality of the students he has mentored over the years at LSU and who are now widely spread in influential positions throughout the petroleum industry. As the Director of LSU's prestigious Coastal Studies Institute from 1989 to 2006, Harry Roberts created an atmosphere of scientific excellence and personal warmth that is recognized and appreciated worldwide. The work that Harry has done in his chosen fields of marine geology and sedimentology has provided important and significant contributions to our understanding of the processes that shape the world in which we live. Studies of any of the world's major and minor deltas would not be complete without reference to Harry's published works on the Mississippi, Atchafalaya, Mahakam, Lagniappe, and other deltas. Amazingly, this can also be said for studies of deep-sea fluid-gas expulsion geology and related gas hydrates. Ocean scientists around the world, who are beginning to look to gas hydrates as a potential energy resource, or as a possible modifier of climate, or as agents of catastrophic continental slope failure, must first research Harry's work of the last two decades. Harry is one of a small handful of investigators who studied deep, cool seeps in the 1980s. A person cannot accomplish what Harry has accomplished without mastering the art of working on several important things simultaneously. This year I personally know him to be involved in mentoring a new post-doctoral researcher and graduate students, successfully obtaining state and federal research funding, editing a special issue of a journal, authoring or coauthoring several scientific papers, leading two Wax Lake (Atchafalaya) Delta field trips for AAPG, diving in a submersible to observe and sample seep deposits in several thousand meters of water, and acquiring seismic data and vibracores and Trinity Shoal. It is not surprising, therefore, that Harry has been awarded the Shepard Medal in Marine Geology, an AAPG Distinguished Lectureship, Honorary Membership in the GCSSEPM, the GCAGS Outstanding Educator Award, the AAPG I. 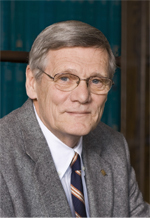 A. Levorsen Award, and his university's highest academic award of Boyd Professor, the J. P. Morgan Professorship, and the accolade of Distinguished Research Master. It is appropriate that GCSSEPM confer the Doris Malkin Curtis Medal on Harry H. Roberts for his distinguished service to science of the Gulf of Mexico region.